Picture from Spader7 on deviantART. Luke Skywalker got a lightsaber at the start of his journey. Frodo Baggins received a magic ring. The Pevensies (sans Edmund) accepted useful gifts from Father Christmas, and Captain Jack Sparrow was granted a pistol and one shot. Heck, even Perseus got a bunch of neat stuff for his quest from the gods in the old Greek myths. The hero often seems to get something—a sword, an amulet, a keepsake—at the start of his or her adventure, and whatever it is always turns out to be really useful. A pointless knick-knack is later revealed to be the all-important Map or Key or Talisman of Plot Advancement. So take my advice. 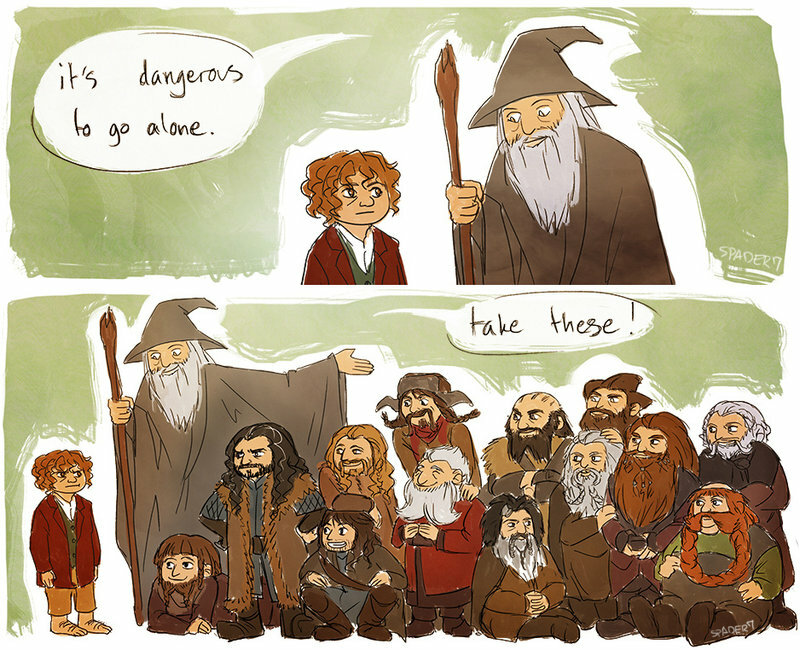 If someone gives you something at the beginning of an adventure, hold on to the darn thing. You’ll be needing it. This entry was posted in Geeky Wednesdays and tagged C.S. Lewis, cool artwork, J.R.R. Tolkien, Legend of Zelda, storytelling by Adam Stück. Bookmark the permalink.